Here's a fun and colorful way to celebrate the holidays. 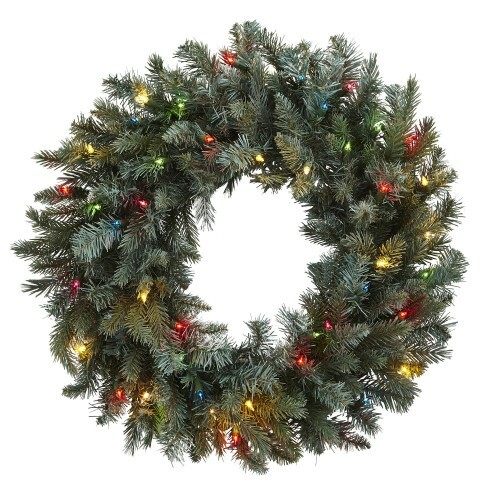 This 30" wreath has 180 beautiful, authentic looking pine tips, making it a holiday favorite. But what really sets it apart is the inclusion of 50 multicolored LED lights, making it a festive piece of décor that will last for years. Ideal for both home or office, it also makes a festive gift for the holidays.